Hi, we are the Voyagin professional guide team. 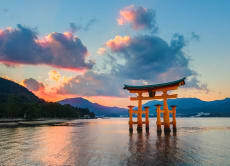 We are dedicated to providing you with insights into Japanese culture, and showcasing the beauty and uniqueness of this country. We are looking forward to meeting and guiding you! 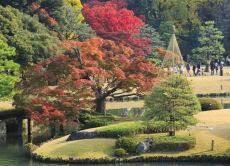 Customize and Enjoy a Private One Day Tour in Tokyo! Enjoy 1 Day Tour in Kyoto and Visit Historical Sites! Shun-san was a fantastic tour guide and provided a wonderful day of learning and exercise! Particularly, he found a great little set menu spot for lunch that we definitely would've missed without him and climbed nearly to the top of Fushimi Inari (and graciously ignored my complaining!). It was fab that he got in touch beforehand to ask what temples or landmarks in particular we wanted to see. We would recommend this tour to anyone - the highlight of our Kyoto stay. Thanks Shun-san! This was well organized and our guide, Mr Yoichiro Nishi, was professional and kind. We had our elderly parents with us and he adjusted the itinerary and pace to suit them so that they could enjoy themselves. We booked with a full day tour guide and Toru was AMAZING! The tour itself was actually very enjoyable and it’s a wonderful experience. We picked up our tickets at the Voyagin office in Shibuya and it was really easy to find. It was obviously a lot of walking but it didn’t even feel like it with Toru as our guide. Must book experience!